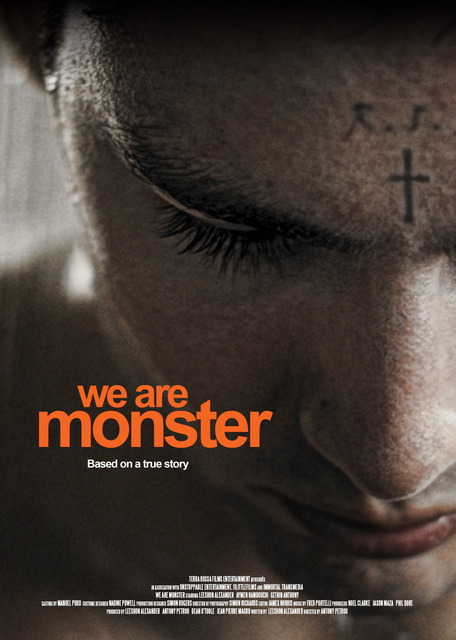 We Are Monster (2014) – Review – Screenkicker! On 21st March 2000 British Asian teenager Zahid Mubarek was murdered by his cellmate in Feltham Young Offenders Institute in London. Mubarek was five hours from his release when he was killed by Robert Stewart, a violent disturbed young man in what was found to be a racially motivated attack. We Are Monster tells this story in a harrowing way that attempts to shed some light on how such an avoidable atrocity could have been allowed to take place. 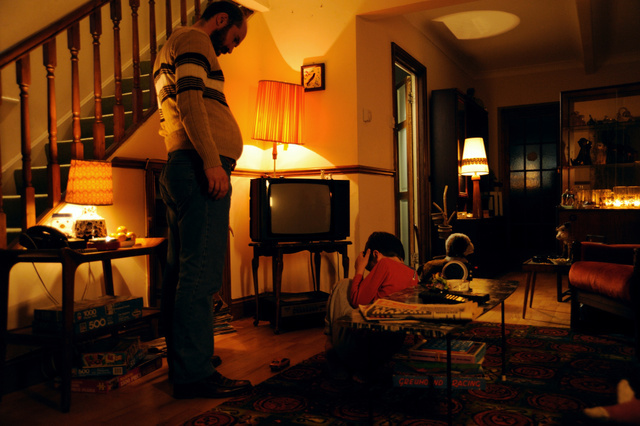 We start with a shot of the immediate aftermath of the killing, Stewart standing over his victim silently looking on. Its a disturbing image that speaks a lot about the incident. Mubarek (Hamdouchi) is still in his bed under the sheets, defenseless to the attack and Stewart actually calls for the guards to come. From here the film asks a lot of questions – how could this have happened? Were there any warning signs? Was there an element of racism in those governing the prison? Where it would be easy to run with one of these themes, We Are Monster looks at all of the circumstances and as such becomes almost a mystery film. A ‘Why did he do it?’ rather than a ‘Who done it?’. Robert Stewart is played by screenwriter Leeshon Alexander, in a remarkable performance that efficiently conveys the disturbed inner workings of the man’s mind. He essentially plays two characters – Stewart and Stewart’s ego, with the second one appearing to the killer in visions. Is Stewart truly racist? Is he completely insane? Did something in his past cause him to be like this? The film explores these questions without making any snap judgements. We see a man who wants to be remembered, who wants to be feared, and ultimately who wants to become a killer. 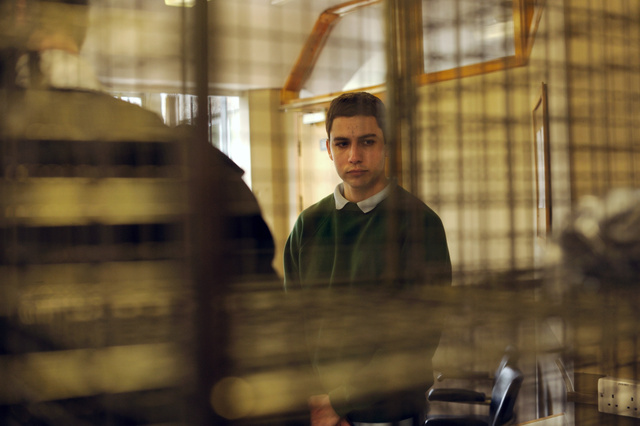 At first We Are Monster appears to be one of those dramas that is a cautionary tale about racial tension and young offenders. The kind of piece that you used to see on the BBC a lot. However as the plot unfolds it becomes more than that. We get a sense of the full set of circumstances without the film pointing fingers. Its essentially a thoughtful examination of what happens in big institutions when someone socially and mentally disturbed is introduced to a system designed for common criminals. As the film gets closer to the crime at its centre the sense of dread is crushing. We know whats about to happen and have no choice but to sit and watch. With an inspired central performance from Alexander and and a unique directing style from Antony Petrou, We Are Monster will stay with you long after the credits roll. We Are Monster has its world premiere tonight as part of the Edinburgh International Film Festival! You can buy tickets here. Great post! Sounds like a very interesting and thought-provoking film. If it ever makes it to my country, I’ll be sure to remember your recommendation! Nice work mate. This is duly added to the list. Wow. This sounds like one to watch, and I will certainly try to catch it. Its funny you should say that, I was talking to the makers and I asked the director if he had seen A Prophet and he said it was one of his favourite films and was a big influence! I am so jealous of the Edinburgh film festival! Wish I could attend in person. Looks like an interesting and gripping drama. I’ll keep an eye out for it. Thanks for the head’s up. Good job! I’ve never even heard about this one! Sounds like you caught a good one! You’re so snazzy, going to film festivals and whatnot. If you’re ever over here I’ll take you to a premiere! Looks interesting. Awesome review as always! Wonder if our film fest here will show it..haha! This sounds great I want to see this. Nice review.